New mom Jewaria Luu was born and raised in Amsterdam, and also spend a few years of her live living in Asia while she was modeling. She is a mom, vegan, law student and a big lover of fashion. We love to follow her on Instagram, because she is just like us a sucker for anything beautiful. 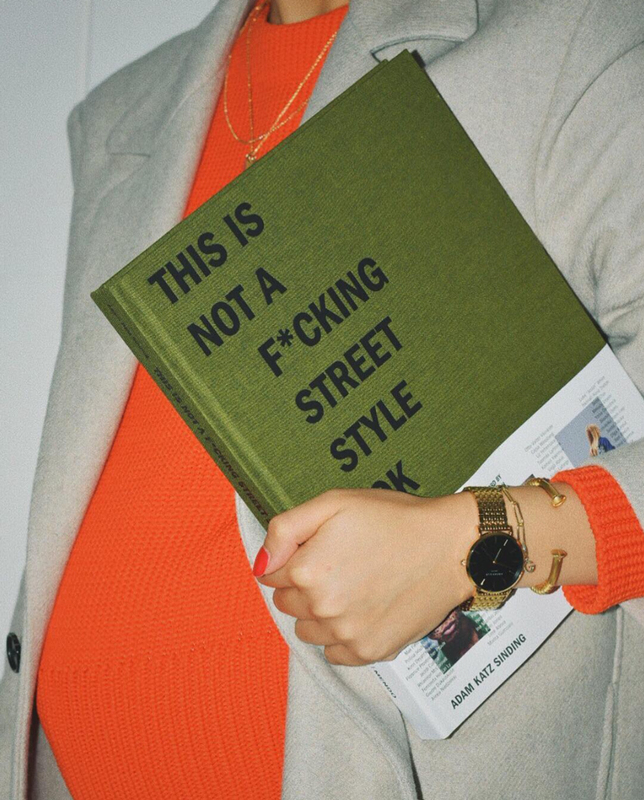 Books, music, clothes, people and even beautiful architecture, it all comes along on het Instagram. She is such an inspiring mom, so we asked her the ins and outs about fashion and everything we wanted to know about her first pregnancy. At the end of July you gave birth to Beaufort, how did you experience your first pregnancy? It was a very unique and transforming period. I can say that pregnancy really forced me to self-reflect and think about what I wanted in life. I was very sick in the first three months, and kind of hated it. But after the first trimester I experienced it as something really beautiful. I loved my tiny bump and the fact that I always had a little friend with me wherever I was. Although I had a very easy and lovely pregnancy I’m glad that it’s over. I really missed being fit and energetic at the end of the pregnancy. You have got an amazing sense of style, can you tell us something about how you dressed during your pregnancy? Thank you! To be honest, I didn’t have any maternity items during my whole pregnancy. I had a very tiny bump and was able to wear my old clothes until the end. My go to outfit was a clean cut shirt with black trousers. Or a maxi dress with a shirt over it. What was your favorite maternity item? An oversized shirt and red lipstick. Makes you look instantly pulled together. Did your beauty regime change during your pregnancy? No, I’ve always been heavy on skincare. I do have to say that I loved taking baths during my pregnancy, which I usually did not like doing. What was your pregnancy craving? Vegan waffles from de Brunchroom in Amsterdam. What is something you have learned from motherhood so far? Describe your ultimate mommy me-time moment. Very simple stuff, like getting dressed, taking a warm shower and reading a book. I’m even thankful nowadays if I have the time to cook a proper dinner. What fashion item does every mom need in their closet? A nice coat, bag and funky sunglasses. It instantly conceals the eyebags, pyjamas and spit up all over. What are your three must haves for the new season, fall/winter ’18/’19? A big oversized puffer coat. The one from the new Filling Pieces collection is still high on the bucket list. The new vegan leather boots from Collection&Co and glasses from the new Celine collection. You recently started a blog, can you tell us something about it? I always get lots of questions on my Instagram DM. I figured that it was way easier to write articles about topics that were most requested. It gives me the chance to provide everybody the proper information that they deserve. And I love writing. What are your favorite brands to dress Beaufort in? I’m a designer girl but funny enough not with my child. They grow so fast that I find it a waste to buy expensive clothes for him. His whole wardrobe consists of HEMA and H&M. What is your favorite mommy related product? My breast pump… I literally can’t live without it. What can we find on your night stand? A himalayan salt lamp, crystals, LUSH foot creme, a glass of water and my phone. What is your all-time favorite bag? This is a very difficult one to answer.. I can’t choose to be honest. At the moment I’ve been wearing my J.W. Andersson logo canvas bag on a daily basis. Instagram! I follow so many amazing style icons like Ada Kokosar, Linda Tol and Oumayma el Boumeshouli. What about motherhood surprised you the most? The love you can have for another human being. I loved before, but this is the definition of unconditional love. It’s intense. And last but not least… what is your ultimate tip for other new moms? Don’t try and plan everything, just go with the flow. It will get better!